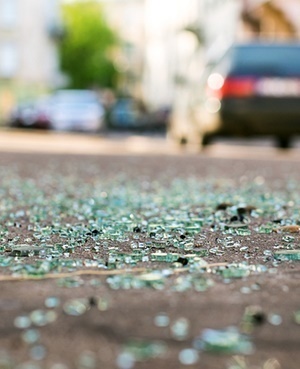 A road accident has caused the death of three men, and injury to two others. No fewer than three persons have lost their lives in a road accident in Ogun State. The accident involved a Honda civic car and a white Nissan Cabstar at Olorunsogo village along Abeokuta /Sagamu Expressway on Saturday night. According to Public Relations Officer (PRO), Traffic Compliance and Enforcement Corps (TRACE), Babatunde Akinbiyi, the Nissan Cabstar with registration number: KSF 906 XR was speeding and in the process lost control, and left its lane for the other lane which led to a head-on collision with the Honda car with registration number: GBE 495 AA. “The cabstar was on top speed, lost control and crossed to the opposite lane and hit the oncoming vehicle. “The accident involved eight people: six males, two females. Three males died in the accident while two people sustained various degrees of injury,” he said. The TRACE spokesman said the corpses of the victims were taken to the Federal Medical Centre (FMC) mortuary in Abeokuta, and the injured ones were admitted to the same hospital.